Life is truly journey, and it won’t all be pleasant. After heartbreaks, demotions, being lied on, abused and more, we still seem to take another step, standing, in a great pair of shoes. I thank God for the shoes and for each and every step that I take. Coat: Calvin Klein. Dress: Victoria’s Secret. Jewelry: White House | Black Market. 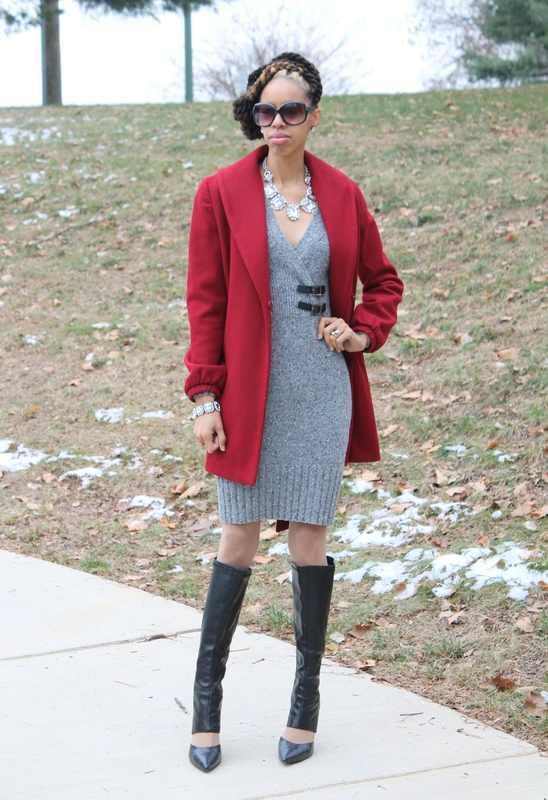 This entry was posted on November 30, 2014 by LaQuisha Hall in OOTD.